We go to all the audio shows and listen to everything we can get on our head. Without question these headphones had the clarity, openess, refinement, and sophistication of other headphones - yes we're going to say it - that cost many times more. Final Audio Design has been making audio since 1974 so when they put their design team to work it has far more experience in this field than most companies combined. We overwhelmingly recommend these headphones. So much so that we decided not to carry more expensive brands because we felt the differences were minor at best. Get your head into Pandora Hope VI now. New Price on the Bel Canto C7R. Save $500!! 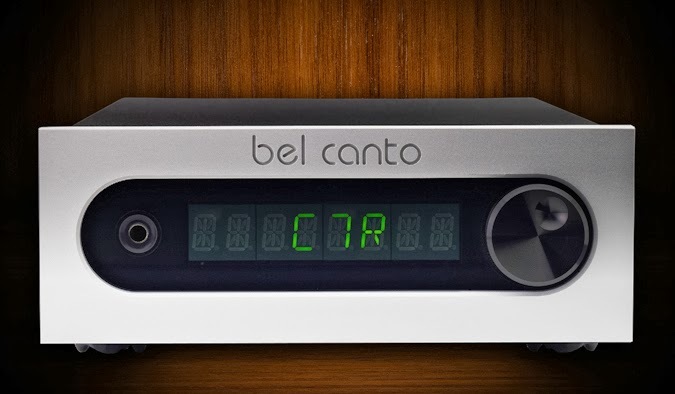 We wanted everyone reading our blog to be the first to know that we have a new price on the Bel Canto C7R. Its now $500 less which makes it a steal considering everything built into this unit and now only a few hundred more than the C5i which can't touch it for specs and performance.